Drake is a popular rapper from Toronto, Canada. He is arguably the most popular artist of the last decade. Before taking a hiatus towards the end of 2017, he spent the previous FIVE YEARS with at least one charting song on the Billboard Hot 100. In early 2018, Drake returned with a quick two-track EP called “Scary Hours” which included the hit “God’s Plan”. The song spent its first 8 weeks at #1 on the Billboard Hot 100 and was replaced by his own track, “Nice For What”. If you want all of the Scorpion Details we have so far, follow along with our guide below. June 28th Update: We’ve posted the OFFICIAL Drake Scorpion tracklist below. Confirmed straight from Drake and OVO Sound. Along with the original announcement of the album, Drake released a promo photo which included the initial June 2018 release date. 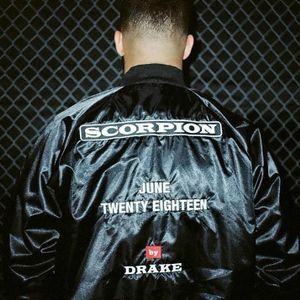 On June 14th, Drake confirmed that Scorpion is set for release on June 29th, 2018. Along with the announcement, Drake released what is believe to be the album cover. 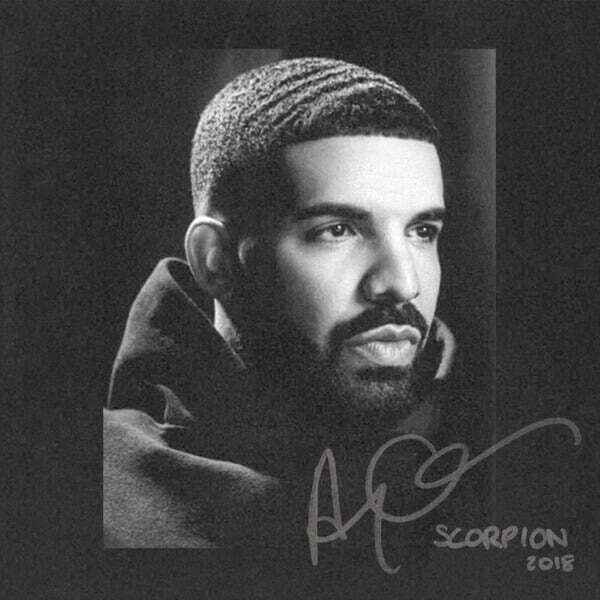 It features a grey headshot of Drake along with his signature, the word “Scorpion”, and “2018” in his hand-writing. Alongside the album, Drake is set to head out on tour from July until November. Drake‘s Scorpion tour is officially titled “Aubrey and the Three Amigos” and it features the rap group Migos as the opener. One of the only things we know about the tour so far is that it features a 360 degree stage in the middle of each arena. All other details are being kept secret until the start of the tour, but Stadium Help will have updated tour information including setlist and live videos. If you want to read more information about the Drake Scorpion tour and purchase tickets, you can check out our Drake Tour Guide now. Executive producers overseeing the Scorpion album are Noah “40” Shebib, Oliver, and Lil Wayne. Like Drake‘s previous album, it is expected that 40 will be responsible for the final mix. Should the three songs mentioned above make the final tracklist as expected, it would mean that Scorpion producers include Cardo, Yung Exclusive, Boi-1da, Murda Beatz, and Oogie Mane. More Scorpion details around production should be coming shortly and we will update everyone as soon as we know. During the last track of Drake‘s “More Life” playlist, “Do Not Disturb”, Drake talked about taking a small hiatus away from music to focus on his life. Recording for the album has been split between Toronto, ON, Canada and Calabasas, California. During the shooting for the “God’s Plan” music video, Drake made one million dollars worth of donations to local charities and people in need. This might give some perspective on some of Drake‘s inspiration for the album. On Pusha T’s “Infrared” song off of his DAYTONA album, he rapped the line “It was written like Nas but it came from Quentin”, a reference to Quentin Miller supposedly ghostwriting for Drake during the “If You’re Reading This It’s Too Late” studio sessions. Drake fired back with his own diss track called “Duppy Freestyle”. Pusha T retaliated with “The Life of Adonis”, a track that claimed that Drake was the father of a child from an Instagram model. It is rumored that Drake plans to address these rumors on Scorpion. A lot of the Drake Scorpion details around content will be saved until the album release date. So far, three music videos have been released in support of Scorpion. You can view them below. Have any other Drake Scorpion details to share with us? Get in touch with us on Facebook or Twitter today with the details!